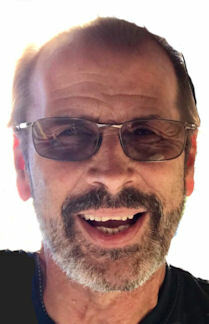 John E. Stuller, Jr., 63, of Amherst, died Saturday March 23, 2019 at Cleveland Clinic Avon Hospital after a short and courageous battle with cancer. He was born June 21, 1955 in Lorain and had resided in Amherst most of his life. John graduated from Amherst High School and the University of Akron where he earned his degree in Aerospace Engineering. He worked as an Aerospace Engineer for over 20 years then became owner and operator of Stuller Electric in Amherst. John attended Hope Christian Church in Westlake. He enjoyed attending concerts, going to the shooting range and riding a Harley Davidson motorcycle. He is survived by his wife of 20 years Laura Mrazik-Stuller (nee Shaw); children: Stephen Mrazik, Amanda Mrazik and Reghan Stuller; one grandson and “Bud Parents” Tom & Paula Shaw; sister-in-law and brother-in-law Bonnie (Ray) Pina and Jeff Shaw and numerous nieces and nephews. He was preceded in death by his parents John E. Stuller Sr and Mary Stuller (nee Toderick). The family will receive friends Saturday March 30th from 2:00-4:00 pm at the Gluvna-Shimo-Hromada Funeral Chapel, 3224 Broadway Ave, Lorain.